Little tiger cartoon :) Fully customizable. And the design exists on a variety of other products. 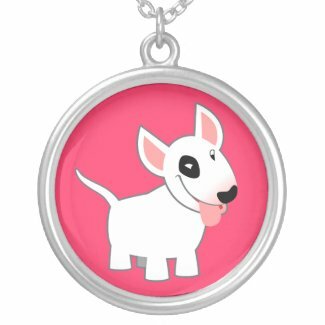 A facetious and friendly little bull terrier dog, all white with a black patch on his eye :) Fully customizable (even the background colour can be changed) and available on various products. Red Sol Rex, a bright, colourful design symbolizing the sun, sunflowers and connecting to myths of creation. The design is available on the market place at Spreadshirt: if you click the image below, you can add it to a product of your choice and customize it. Otherwise, products already featuring this design are also available on the market place and are fully customizable.